Watch out for No. 9 when you play from the back tees, which you’ll probably do instinctively when you see the measly 6,001 yards on the scorecard. At 240 yards, many will need to use the driver. In fact, shortening the hole would not only make it more forgiving, but allow for a more reasonable pace of play. This one is long, but the other par 3s play 120, 120, and 160 yards, respectively. Bring a hard hat because the course is crammed together, making errant shots a real hazard for the leisurely hacker. However, the course is easy to walk, plays rather rapidly, and is in great condition, making it well worth the while for visiting golfers. Getting there : From I-20, take the Eastman exit (Hwy 259), drive north over Hwy 80, and turn right at the second traffic light (Alpine). I enjoy this course. You can't just swing away like some other courses. 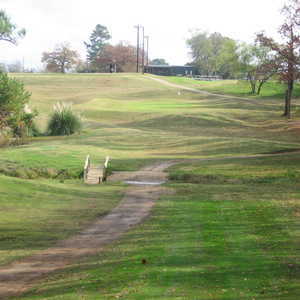 It's tight but makes you think about your shots more.I like playing the local municipal courses around east texas. Each one has their own characteristics. I feel they make a better player out of you so when you do play a posh layout, if you get in a tight spot you use your muni experience. always look forward to playing this course.wish I lived closer and had more time. Quite possibly the worst goat pasture in the USA. The greens we like putting on Mars. Service is abhoring and misleading. 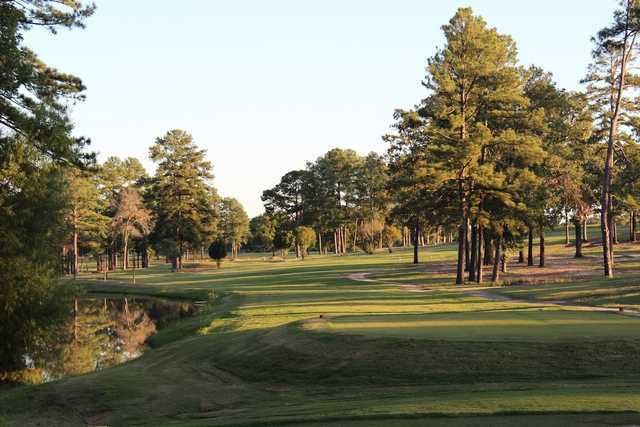 Having played all the courses around East Texas, Alpine can be fun. The greens are still in good shape, (they are hand watering), but they are out of water and some ponds/tanks are completely dry. The fairways need some maintenance/water. They have made improvements since the last time I played but the carts are very poor, we had to change carts half way through. It is not crowded and you can get in 18 in about 3.5 hours or less. 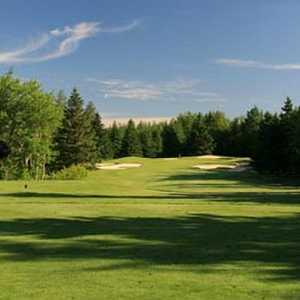 I firs played on this course in Oct 2011. I met Paul Leslie and informed that his energy is focused on making Alpine the best course in East Texas. I became a member and played regurlarly. 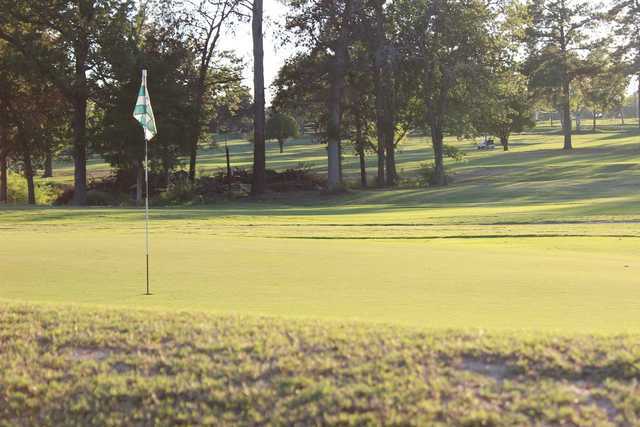 Since 2011, there have been remarkable improvements in the overall course, Greens are 300 % better, trees have been trimmed and overall looking like a golf course vs a cow-pasture. Paul and his staff have been doing a lot of work to bring this course uo to par (no pun intended), however, there are some added improvements neede to make it 5 star. Check it out yourself and pass along your ideas to Paul as he is very receptive to the customers thoughts. 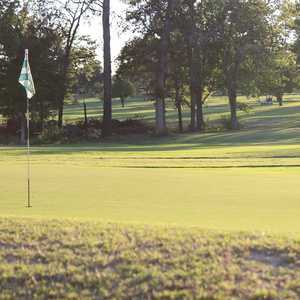 Cart paths are in dire need of replacement and I hope that this will be the next constuctions initiated there, I have been there and seen the work to date........hats off to you Paul for your insight, and dream of putting Alpine on the Texas map of courses to be played. Thanks agiain your tenacity as a professionall. 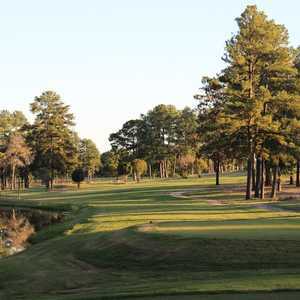 Its a good East Texas course! Need more Seniors incentives. Vastly improved and congenial staff. Wow!!! This golf course has really improved with the new onwership. Great shape and lots of fun. This course is under new management that is currently making improvements to the club house and general clean up around the course until the winter is over. In early spring, plans are in place to fully implement an aggressive maintenance program on the greens and then the fairways. All of the rates are being adjusted for food/beverage/green fees to facilitate more consistent play. It will take some time but this course will look completely different this time next year. The future is promising!